Kathy has had a distinguished career leading technology strategy, development and delivery in the Telecommunications, Banking and Financial Services industries. She served as the CIO of Charles Schwab Bank implementing nationwide lending and checking products. Kathy also served as Senior Vice President at Charles Schwab & Co. leading integrated technology solutions for Schwab broker-dealer functions and customer-facing channels. She leaves a leadership legacy of quality, accountability and integrity to clients, employees and shareholders. Kathy retired in 2014. 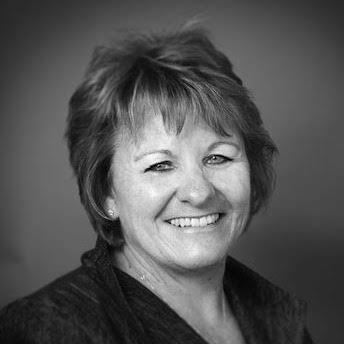 Kathy has been a member of the IWF Northern California Board of Directors since 2011. She is devoted to bringing women together to share their knowledge and experience for the benefit of other women. Kathy is also a member of the IWF Northern California Legacy Foundation Board. Kathy is an advocate for helping adolescent girls. She has been on the GirlVentures Board of Directors since 2008 serving as President (2008–2011) and most recently Vice President of the Internal and Strategic Committees. GirlVentures is a non-profit organization dedicated to helping adolescent girls, from diverse backgrounds, build on their strengths through outdoor and leadership activities. Kathy lives in Emerald Hills with her husband, Rich, and puppy, Maggie Mae. Kathy has two children, Stacey and Ben, and three grandchildren—Trevor, Blake and Lauren. Kathy’s interests and hobbies include golf (beginner), travel, reading, wine, football, baseball, women’s rights, our future generation. Nanette is a native San Franciscan who has spent her entire business career in the Bay Area. She has been active as a mentor, supporter and business consultant for both private and public as well as not-for-profit and for-profit companies. Nanette's interests and hobbies include opera, gourmet cooking and the Great California Outdoors. Many thanks to the amazing group of leaders of our Forum who have given tirelessly of their time and ideas to make us the vibrant group that it is today.